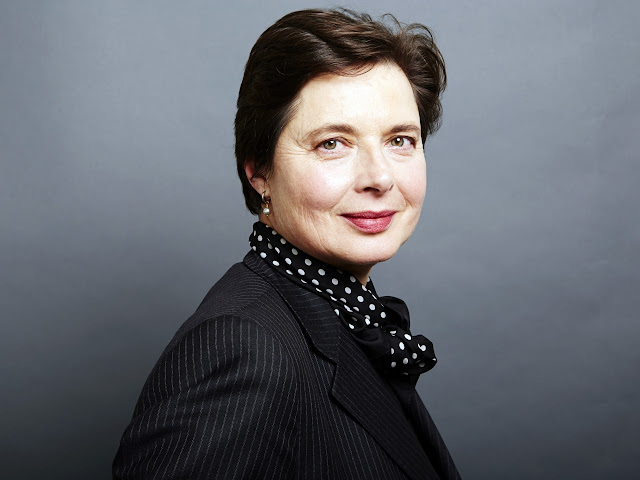 Isabella Rossellini is returning to Lancome as a brand ambassador, nearly 30 years after she became their first face. SHE was the face of Lancome for 14 years, but more than 30 years after she became their first face, Isabella Rossellini is returning to the French luxury skincare brand — proof that for women of a certain age beauty goes beyond the image. Rossellini graced the brand with her charm and beauty from 1983 to 1997 (who can remember those iconic images of her as the face of Tresor and other products in the stable). But six days after her 40th birthday, she was unceremoniously “dumped” for — what was widely speculated at the time — being too old. Today, at 63 years of age, Rossellini is a keenly intelligent, accomplished woman, who has made time her best ally, and happiness and well-being her greatest strengths. Announcing her return, general manager of Lancome, Francoise Lehmann, said “Isabella embodies the idea of an accomplished beauty that is synonymous with well-being”. “She also maintains a very positive, serene attitude to age, which she experiences as liberating and self-affirming,” Lehmann continued. In her new role as muse and spokesmodel at Maison Lancome, Rossellini will be “sharing her secrets of how to accomplish genuine beauty”. She joins a growing list of women of a certain age fronting beauty campaigns — including Charlotte Rampling (NARS), Helen Mirren, Jane Fonda and Dayle Haddon (L’Oreal), Jessica Lange (Marc Jacobs) and Jacqueline Bisset (Avon) — and who reject the notion that only youth equals beauty. Only last July at Lancome’s 80th anniversary celebrations in Paris (of which I was lucky enough to attend courtesy of Lancome), Rossellini appeared on stage with other Lancome ambassadors — Kate Winslet, Julia Roberts, Penelope Cruz, Daria Werbowy, Lily Collins, Alma Jodorowsky and Lupita Nyong’o.